Sorry for the absence! I changed jobs in March and due to a pre booked trip to Australia in April all of my holiday allowance was pretty much used up. I have been on a little road trip round Sicily, which I will post about shortly but other than that I’ve just been reacquainting myself with my home city – one of the best cities in the world – London. I grew up about 35 miles from London (that’s 35 miles from Charing Cross, Westminster, the historical measuring point). Dad use to bring me “up town” in the school holidays to visit all of the tourist hot spots like the Tower of London, St Paul’s, Trafalgar Square, Madame Tussaud, the Planetarium (which sadly doesn’t exist in the same form anymore) and so on. In my early 20’s I moved to the “big smoke” and have been here ever since, well, minus my 16 month stint of travelling the world….. Despite being in London for 14 years (surely that makes me a “local” now? ), I still feel like a tourist at times. There are so many grandeur historical buildings that seem like they have been here since time began – the Palaces, State Buildings, or anywhere in zone 1, but London can still find space to change. Canary Wharf use to be home to the financial tall rises but you just have to look across to the Square Mile and wonder at all the new tall glass structures with nicknames such as the walkie-talkie, the cheese grater, Can of Ham and of course The Gherkin. Gentrification is taking over, turning once avoided London boroughs into art house, hipsterville living spaces. Don’t get me wrong, I love it, it means that despite not being able to travel as much as I have done in previous years I still have a playground for discovery. Anyway, I’m wittering away. The East End of London – mainly Brick Lane and surrounding streets seems to be the most concentrated area for local and international artists to come and share their work. Being a West London girl, it’s hard to track what appears when and where but I like to head over to the East every couple of months on the sole mission to find some new pieces and revisit some old favourites. This weekend was one of those trips and couldn’t be happier with my findings! 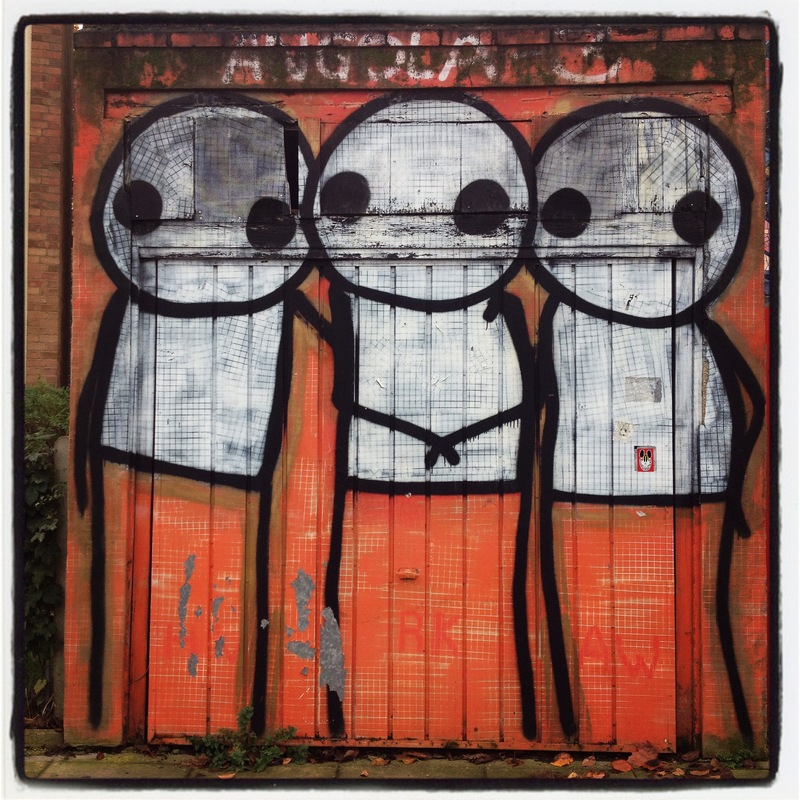 My current favourite artists are JimmyC, Otto Schade and Stik. I saw my first JimmyC creation when I was in Berlin back in 2012, soon followed by a night out in London at LoungeLover and seeing “Girl with Spheres”. 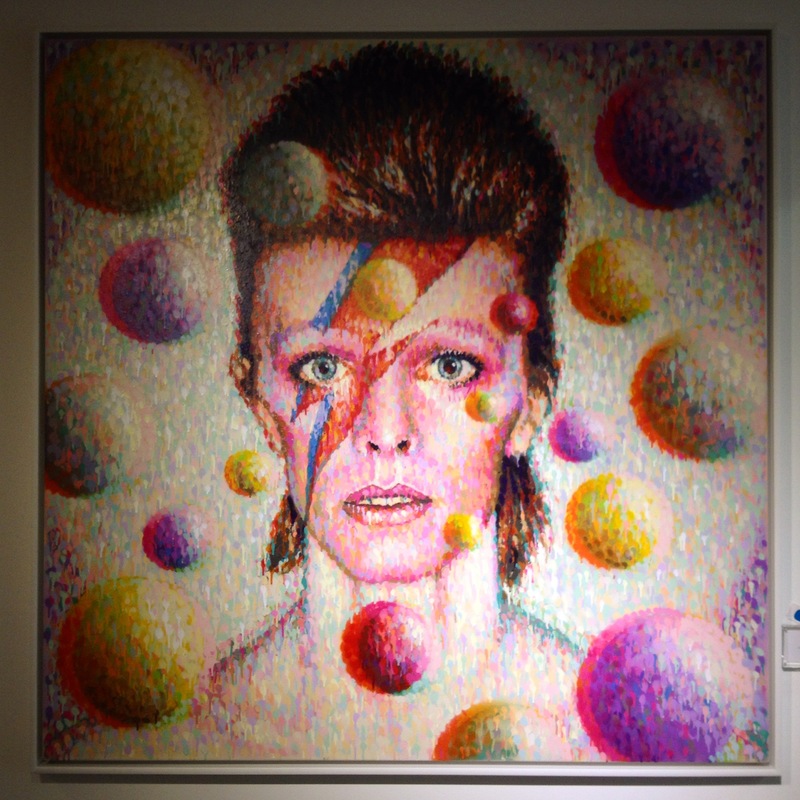 Yesterday, I saw a beautifully framed version in the Lollipop Gallery on Commerical Street – along with a 3D version of Bowie. If anyone has a spare £12,000 please can they buy the Bowie for me! Now, Otto Schade. With my strange fascination of travelling to historical war zones it shouldn’t come as a surprise that I love Otto’s work. He has several styles – all of which are very clear in his works. 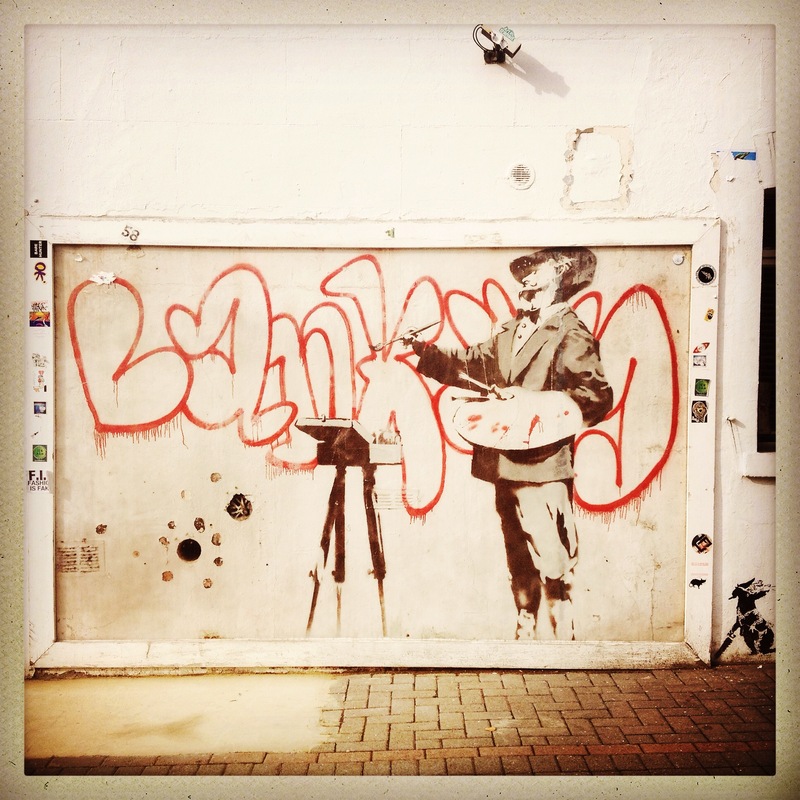 I love his stencil scenes which are a little on the political side. They’re very clever, at first glance sometimes the whole picture isn’t seen as it should, but look back and you will see – like on the ET stencil – ET is pointing a gun at Elliott. Genius. My favourite is “No Comment” – a boy holding hands with a soldier. The boy has the gun slung over his back and the soldier is carrying his teddy bear. To this day I still haven’t actually seen this one, just copies of other peoples pictures. Once I have enough pennies together though I will purchase a print of this! These two I came across yesterday. Plus two were on sale in the Lollipop Gallery also. Dear Santa, I’ve been a good girl this year…. STIK! What’s not to love about spotting a Stik. They are everywhere. There’s a whole family along the Southbank. 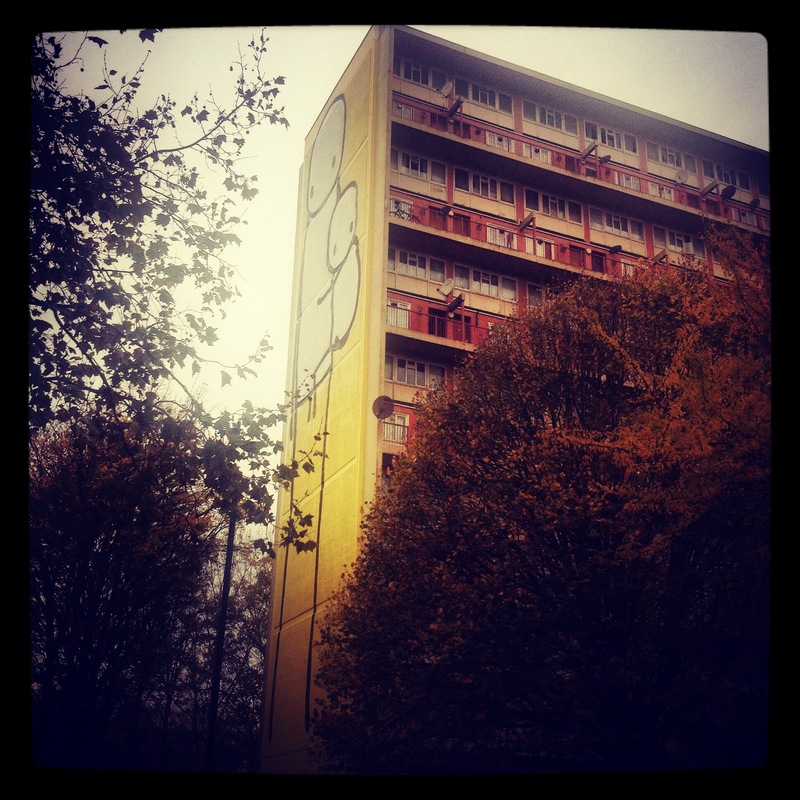 But more importantly, today, I took a walk in the local neighbourhood to see a brand new 40m Stik creation. The largest yet. Walking back home via the shops and I came across this one too. Love seeing these in West London. More please! To finish here are some more of my finds yesterday. 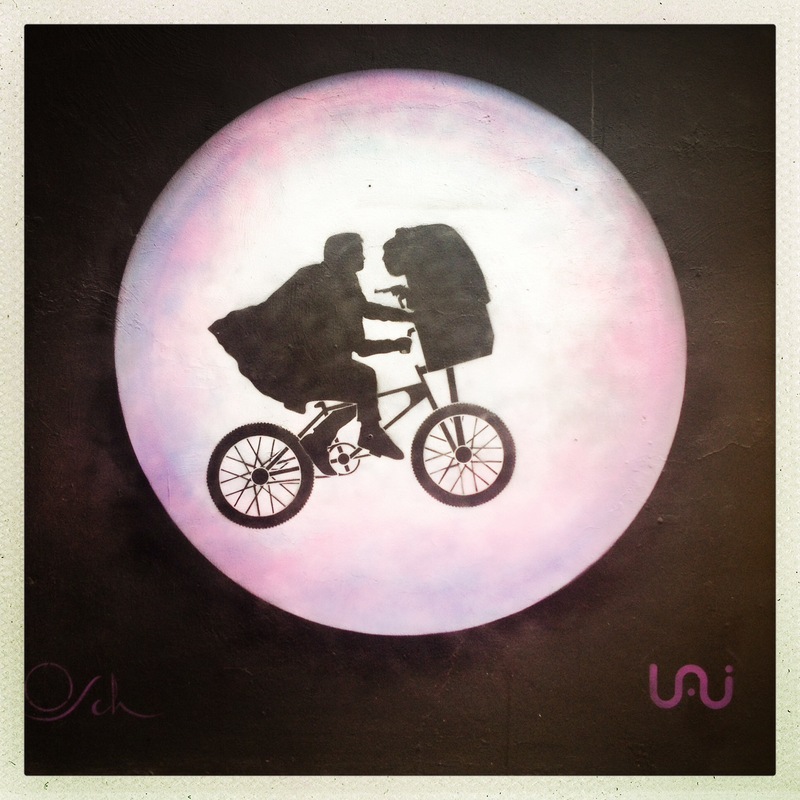 Creations by ENDLESS, Pure Evil (the first I’ve seen outside of the Leake Street extravaganza held in 2008) and Shok-1. Love Love Love. Thanks for sharing! 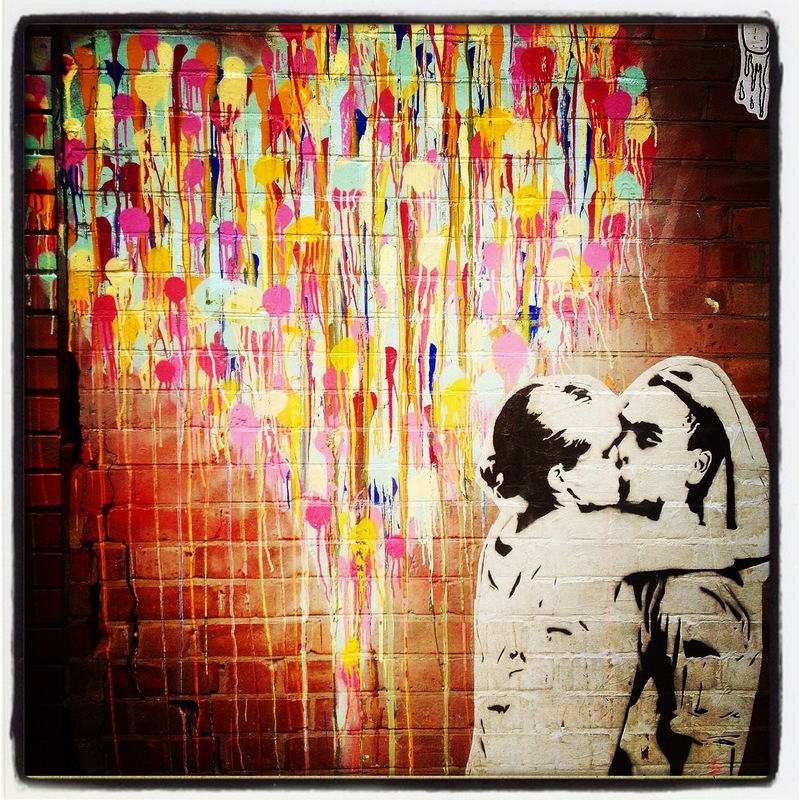 I used to live in East London and would often go for walks to see what new street art editions there were!